In Brief: Thanks to everyone who voted for us in the 2016 Expat Life Awards—we received an award, again! 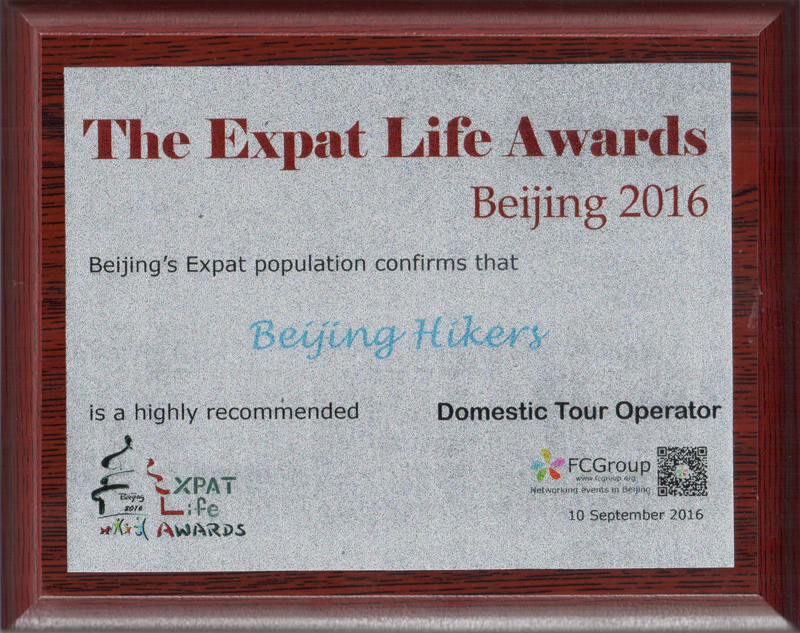 We've won awards in the Beijing Expat Life Awards three times now, this year bringing home the award for Highly Recommended Domestic Tour Operator. The awards are set up so Beijing-based expats can show their support for their favourites in 25 different categories, and winners are decided by an on-line voting process. Click to see a slightly larger version.